Home Content Type PowerShell SharePoint SharePoint 2010 SharePoint 2013 SharePoint 2016 How to Create a Content Type in SharePoint using PowerShell? How to Create a Content Type in SharePoint using PowerShell? 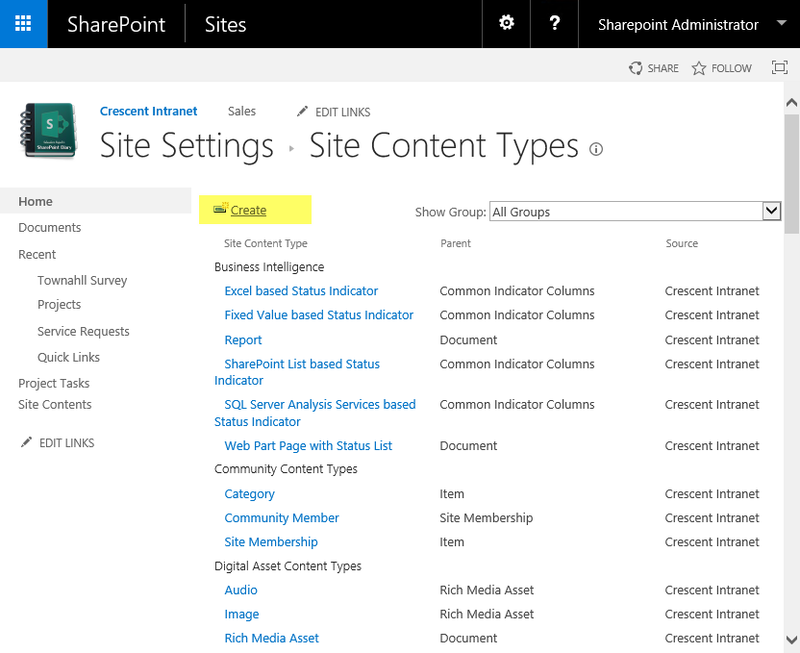 A Content Type in SharePoint is a fundamental framework for any item, such as Task, Document, Event, etc. Every content type has its own set of metadata columns and templates, information management policies, workflows. In SharePoint, we can create our own custom content types from existing content types, such as "Invoice" content type based on a document content type and add custom columns to it say "Invoice Date". 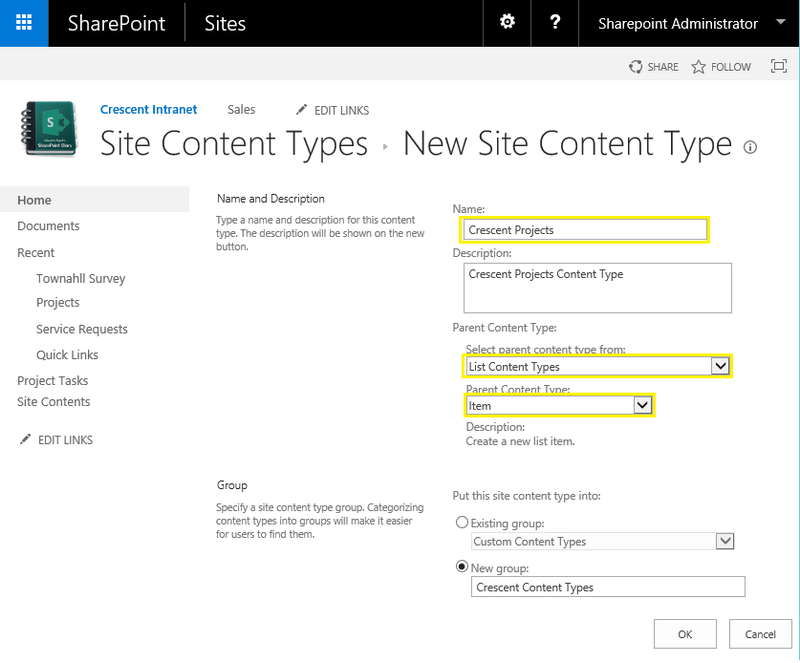 How to Create a Content Type in SharePoint? Go to Site Settings >> Click on "Site Content Types" under "Web Designer Galleries" group. In Site content types page, You''ll see the list of default content types like Item, Tasks, Document, etc grouped by sections. Click on "Create" link at the top. Provide a name to your custom content type. Optionally you can enter the description for your new content type to make it purpose clear. Select the parent content type such as "Item" from which your content type is based on. You can either create a new content type group or select any existing. Click OK to complete creating the content type. Once the content type is created, The next step is to add required site columns to the content type to make metadata available from the content type. Content types are hierarchical - So, when you create a content type at root site level, all sub-sites underneath it inherits site columns and content types from the parent site! #Get parent content type - "Item"
$ContentType.Description ="Crescent Projects Content Type"
$ContentType.Group = "Crescent Content Types"
This PowerShell creates new content type in SharePoint. Now the next step is to add some columns to it: Lets add a "Project Name" column to content type.